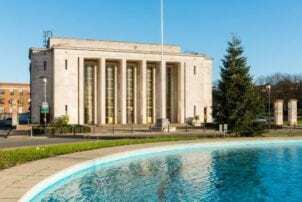 A golden art deco musical treasure, Walthamstow Assembly Hall is ideal for events to wow your guests. Perfect for Asian weddings, parties, filming, rehearsals, conferences and more, the venue is situated just fifteen minutes from Central London by underground. With a capacity of 450 for a seated dinner and 1000 standing guests, Walthamstow Assembly Hall is also available on a dry hire basis with a fully equipped kitchen on site. There is also an onsite car park with 250 spaces. Parking is free all day on Saturday and Sundays.